With all the boating opportunities in Texas, it's no wonder there is so many boat dealers throughout the state offering a wide variety of boats for sale. If you like to sightsee, cruise, fish or water ski, there are dealers with your dream boat for sale. To locate a dealer near you, first select a quadrant of the state. Then find a boat dealer listed by proximity to cities, waterways, campgrounds and attractions in TX. Some of the major cities we have listed for your convenience include Wichita Falls, San Antonio, Marathon, Midland, Van Horn, Dallas, Beaumont, McKinney, Sherman, Ammarillo, Del Rio, Fort Stockton, Lubbock, San Angelo, Odessa, Austin, Fort Worth, Houston, Kingwood and Childress. Texas boat dealers are familiar with boating requirements in TX. They can easily assist you in selecting the right boat for your intended use, as well as make suggestions for boating safety and ways to keep operating costs to a minimum. Once you acquire the ideal boat, we'll help you find places to boat in Texas. Lakes are listed by quadrant within the state for convenience. The list of major lakes includes Lake Caddo, Lake Fork Reservoir, Lake E.V. Spence, Lake J.B. Thomas, Richland Chambers Reservoir, Lake Amistad, Lake Kemp, Lake Meredith, Lake Conroe, Lake Corpus Christi, Palo Duro Reservoir, Cedar Creek Reservoir, Lake Texoma, O C Fisher Lake, O H Ivie Lake, Sam Rayburn Reservoir, Twin Buttes Reservoir, Lake Buchanan, Lake Livingston and Red Bluff Reservoir. Rivers too can be a fun place to go boating and are listed by quadrant also. Some of the major rivers we've identified include Alamito Creek, Pecos River, Carrizo Creek, San Antonio River, Sulpher River, Brazos River, Colorado River and Rita Blanca Creek. 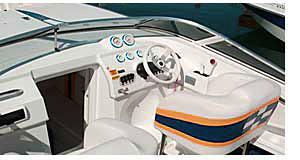 Throughout TX you may find manufacturers of boats, trailers or boat accessories including BayMaster Boats and Flatlander Boats. Boat types commonly used on TX waters. 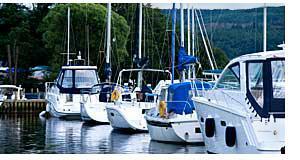 We'll help you find the boat, waterways and resources to make owning or renting a boat in Texas an absolute pleasure. For further information about boat registration in Texas, contact the Texas Parks and Wildlife Department - Boat Licenses located at 4200 Smith School Road, Austin, TX 78744. The phone number is 512 389-4800.